Once upon a time there was a little girl… I think that you know the story of Goldilocks and the Three Bears from the early childhood. 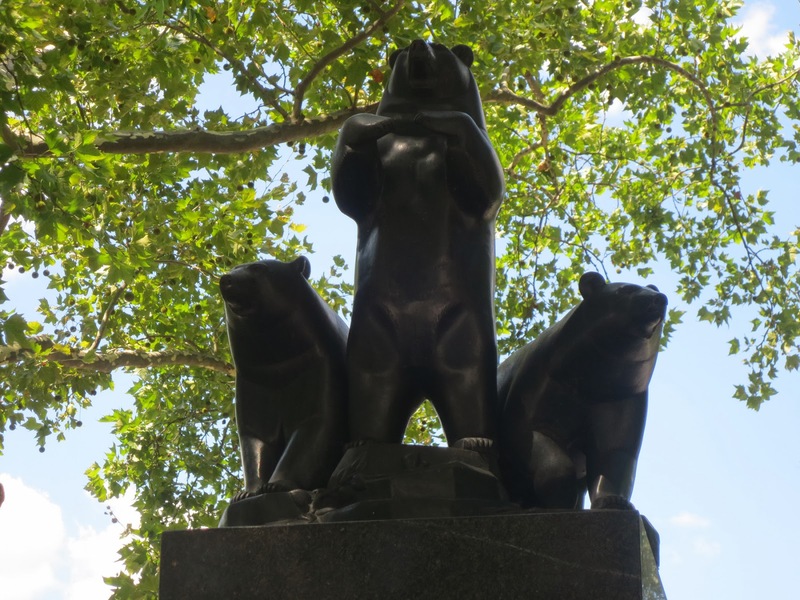 But do you know that we have “Three bears” sculptures here in New York? And not only one but three of them less than a mile apart, done by the same sculptor. 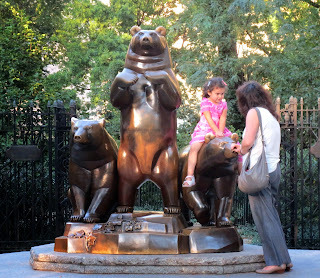 The first sculpture is on the kids playground in the Central Park at Fifth Avenue and 79th Street, and the second one is on the first floor of the Metropolitan museum of art. 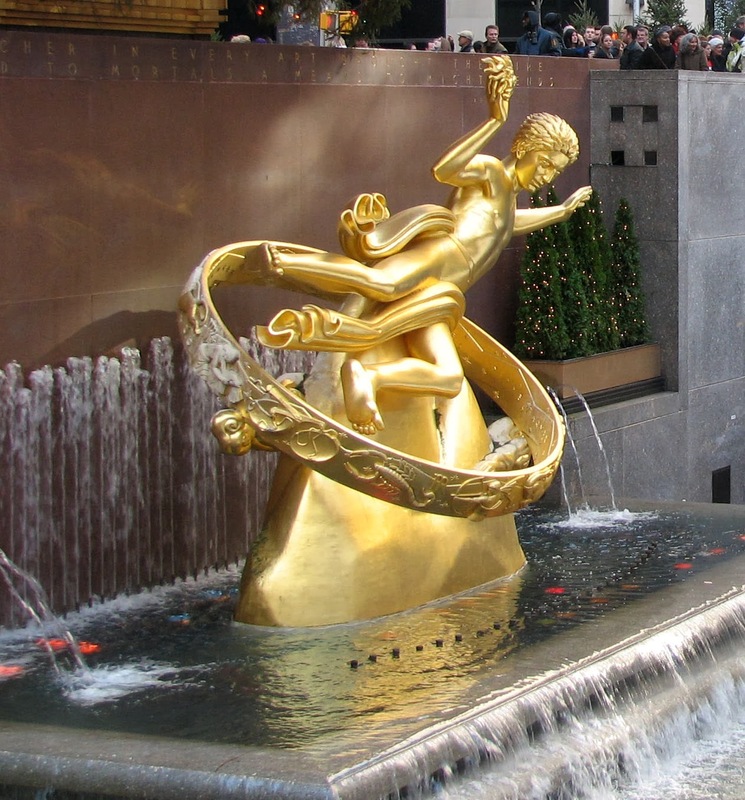 These sculptures were done by American artist Paul Manship, mostly known as the author of the Prometheus in Rockefeller center. I wrote about Prometheus in one of my posts in April 2013. Although Manship was not an animal sculptor, he had gained his Prix de Rome with a relief of horses, and he loved to include birds and animals in his pieces. 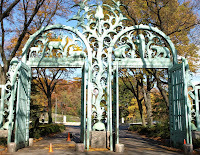 In 1926 sculptor was commissioned to build the Paul J. Rainey Memorial Gateway at the Bronx Zoo in New York. The double gates were thirty-four feet high and very expensive to create. 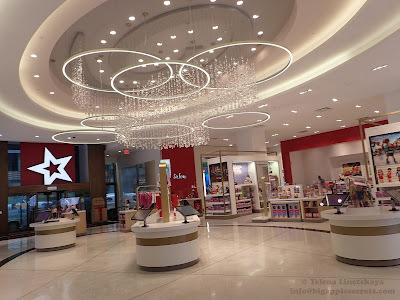 It took almost fifteen years to complete the project. 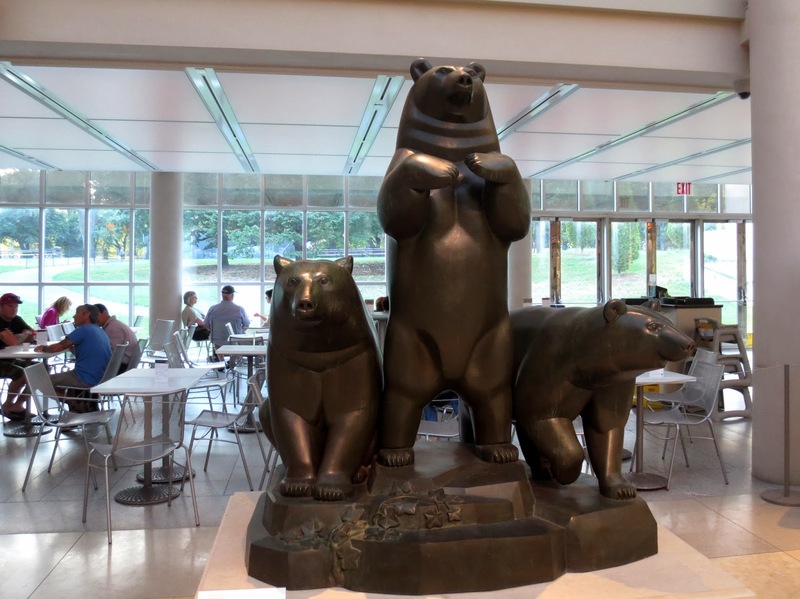 There are three bears above the left gate done by Manship. The artist modeled all three animals from careful life study of one of the zoo’s bears. When the gates were completed, the sculptor issued independent casts of this assemblage to recoup some of the gateway’s enormous costs. Manship maintained the poses of the animals but adjusted them from a profile to a frontal composition. The sculpture from the Metropolitan museum was cast in Milan and stand outside sculpture’s house in Lanesville, Massasuchets. In 1987 the Graham Gallery bought the sculpture. 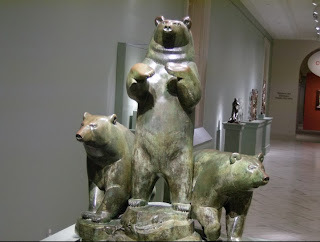 Later "The group of Bears" was purchased by the donors Richard and Sheila Swartz for Met museum. The bronze sculpture at the playground was cast in 1960 and unveiled on October 11. It was a gift from a Samuel N. Friedman in memory of his wife, Pat. 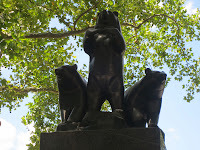 There is a third sculpture of the three bears, much smaller, on the top of the gates to another playground. 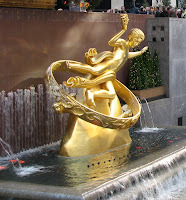 The gates were created by Paul Manship. The Municipal Art Society declared the gates the year’s most distinguished work of art in New York City upon their 1953 installation. The gates were on another playground that was closed in the early 1970s to make way for the museum’s expansion of the Egyptian wing (now the site of the Metropolitan Museum’s Temple of Dendur). 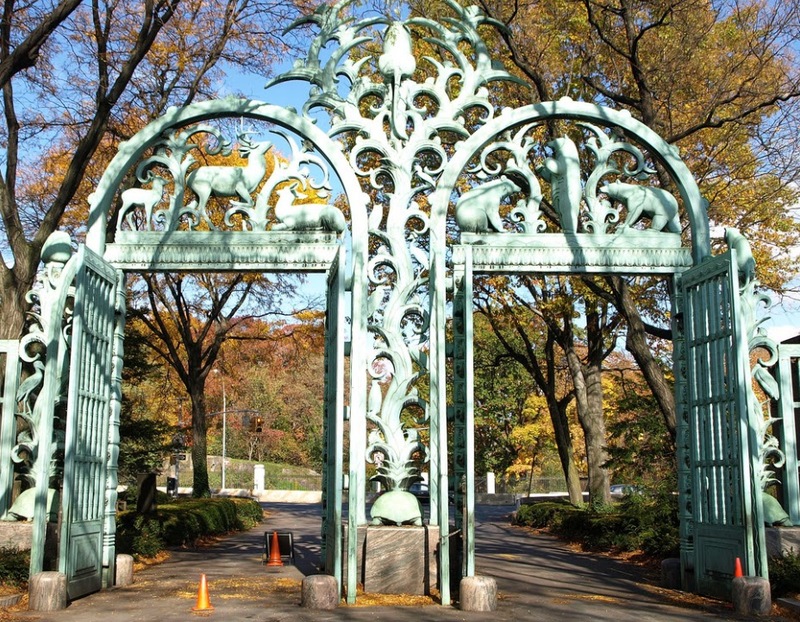 After more than 30 years in storage the gates were restored and installed in Central Park, at 86 street. And there is a forth sculpture of the same bears in Smithsonian American Art Museum in Washington.